Mafia’s involvement in the economic, political, and social life of the island is longstanding and deeply entrenched. But the anti-mafia movement is alive and kicking in the island and since the 90s, when Sicilian judges Giovanni Falcone and Paolo Borsellino where dramatically assassinated with their escorts, the anti-mafia movement has radically increased among the population. Shopkeepers and small entrepreneurs have formed associations to oppose extortion and anti-mafia campaigners make efforts to spread the concept of working together and adopting the rule of law. This excursions is our contribute to let travellers better understand Sicily and its people. It’s a tale of hope and future to help travelers dejecting prejudice and increase their awareness towards all efforts local people every day face to eradicate this plague. Our first stop along this tale is a winery. A unique winery born after the association named Libera managed to get the Italian parliament to permit its members to legally acquire properties that had been seized from the Mafia government and convert them into legitimate enterprises. Most of these new legal enterprises are located in the heart of the Mafia reign in the island, the area around San Giuseppe Jato and Corleone where mafia lands are now devoted to modern agriculture by local cooperatives under the label of Libera Terra (Free land). 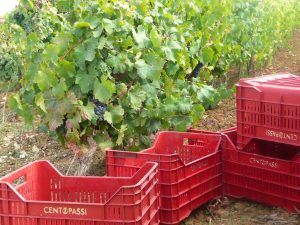 The Centopassi winery is the wine-growing and wine-producing soul of these cooperatives . Passion, commitment and expertise are values shared by the young people managing the organic vineyards from which high quality wines are produces. The brand Centopassi is ideally taken from the homonymous film I cento passi (One hundred steps, 2000) dedicated to Peppino Impastato the son of a Mafioso assassinated by the mafia in 1978 owing to his political fight and public exposure against mafia culture and activity. We will then lead towards the Corleone, the famous and infamous mafia headquarter, hometown of Totò Reina, the boss of all bosses, arrested in 1993, charged by a host of murders including those of magistrates Falcone and Borsellino. Despite its history, Corleone is a controversial town. Best known for Francis Ford Coppola’s classic Godfather trilogy, none of the scenes were filmed in Corleone. You will meet no Mafiosi, although many mafia members still live in town. You will see no black dressed women, no stereotype of the typical Sicilian man. You will meet a bunch of young locals who are trying to reclaim Corleone for themselves and free the town from its reputation. They will tell you the local history of organized crime and mostly the efforts of those who have fought it. You will learn Corleone was and still is a revolutionary town. You will leave the town with a new vision and eventually be able to share a tale of hope and future. Francis Ford Coppola’s classic Godfather trilogy gave Corleone a worldwide fame, but none of the scenes were actually filmed in Corleone. Sadly known for being the famous and infamous mafia headquarter, hometown of Totò Reina, the boss of all bosses, arrested in 1993, charged by a host of murders including those of magistrates Falcone and Borsellino, Corleone is a controversial town. You will meet no Mafiosi, although many mafia members still live in town. You will see no black dressed women, no stereotype of the typical Sicilian man. You will meet a bunch of young locals who are trying to reclaim Corleone for themselves and free the town from its reputation. Gianluca be your host during the cooking class at his famous restaurant in town that he manages with his family. Volcanic, forthright, and fun he will catapult you into Corleone everyday life, with absolutely no reservation. His true Sicilian verve made him a star at the famous Italian TV morning show “La prova del cuoco” where he gained a well-deserved second place among chefs coming from cooks representing all Italian regions. 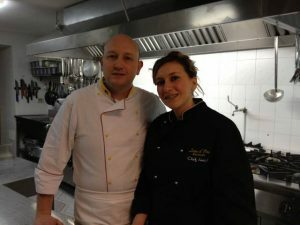 So, be ready to face your Corleonese cooking challenge, from typical antipasti to second dishes. And to wash your meal with a Corleonese quality wine. Fabio, Francesca, Calogero are some of the young locals who have decided to turn their love and passion for Corleone into a professional challenge (and not to emigrate in search of a job and a new life): they will offer us a detailed account of the events that have characterized the history and the anti-mafia movement in Corleone, the secrets, the rituals, the hiding places, the murders, and the great men who have fought for justice. You will leave Corleone with a new vision and eventually, be able to share a tale of hope and future. A fetching itinerary out of the mass route, along the Madonie park one of the principal mountain groups in Sicily and member of the UNESCO Global Network of National Geoparks. Our destination is the village of Castelbuono, the most important in the Madonie area, featuring a lovely setting amid ancient manna ash and chestnut forests. Once the town of the Ventimiglias, a powerful noble family who ruled it between the 14th and16th century and built the enormous Castle that gives the town its name and presents Arab-Norman and Swabian features: the cube shape recalls Arabic architecture; the square towers, although incorporated into those of the façade, reflect Norman architectural style, as also the battlements; and the round tower recalls aspects of Swabian architecture typical of the Hohenstaufen rule of southern Italy . The Cappella Palatina (“Palace Chapel”) was decorated in 1683 by the brothers Giuseppe and Giacomo Serpotta, with a great profusion of precious marble, stuccowork, putti, and friezes that commemorate the most resplendent moments in the history of the Ventimiglia family. Here is kept the holy relic of the skull of Saint Anne, in an urn that acts as the pedestal to the sculpted bust of Castelbuono’s patron saint. 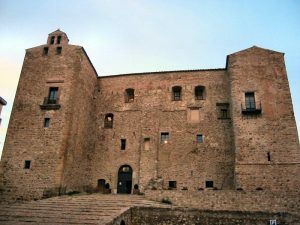 A gorgeous 12th century abbey located 9 km from Castelbuono in the south direction of Cefalù will welcome you for a wine tasting and lunch. Set among 300 hectares of vineyards, this abbey is now a prestigious award winning winery and a charming relais.